Louis Harold Gray: a founding father of radiobiology by S Wynchank. BSHR has recently joined the Oral History Society as a group member. It gives us access to their Journal and services. Take a look at their website for details. This is the second edition of a book first published to great acclaim a decade ago. The early pioneers did not understand the harmful effect of x-rays and other forms of radiation and chronic overexposure led to a number of early casualties , skin burns , hand amputations etc many who were commemorated in a monument, The Martyrs memorial, built in the grounds of St George’s Hospital, Hamburg. 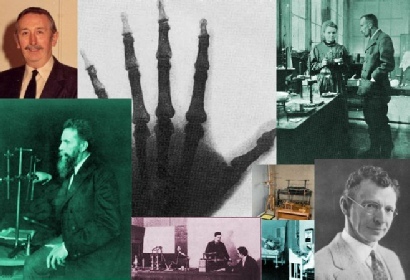 The book starts with the coverage of the early years of X-rays and radioactivity. It is interesting to note that protective wear appeared as early as 1898 and gloves and aprons became routine in 1905. Even Hall Edwards, a future radiation martyr, recommended that tubes should be shielded and the operator should keep his distance and wear lead glasses when viewing a fluorescent screen. He also knew that the effects were cumulative. He even wrote an article on the harmful effects of radiation using his amputated hand as an example. The chapter on fission and weapons is a truly international coverage of this subject and makes both interesting but chilling reading especially when covering the recent Chernobyl disaster. The concepts of dose and genetic and somatic effects are covered in detail. There are also useful chapters on radiation measurement and safety as well as a chapter on the development of organisations which specifically set about dealing with the issues of radiation protection and safety including coverage of the X-ray and Radiation Protection Committee’s work chaired by Sir Humphrey Rolleston (Cambridge Professor of Medicine) which published reports and recommendations to ensure the safety of workers involved with radiation in the 1920’s. This is a comprehensive well researched monograph which is international in its coverage and referenced comprehensively a feature which will help those interested in the primary resources and looking up further information . Many will dip in and out and are bound to find interesting information in this informative and scholarly contribution to this very important field of study.